Just when you think you will have a really easy travel day, the unexpected happens. After hearing the rain hit the roof of the camper all night, we woke up to having to hitch up the camper in, surprise, more rain! Henry was dodging puddles as he put up the water hoses and hitched up the trailer. One of the items on his check list before leaving a campsite is to check the tire pressure. One of our new tires was losing air. Our first order of business after leaving the campground was to find a gas station with not only an air compressor but room for our 40+ foot truck and camper to maneuver so we could put air in the tires. Luckily there was a Shell station in Ft. MacLeod that fit the bill and for the cost of a loonie (one dollar) Henry filled the tire and we were on our way. 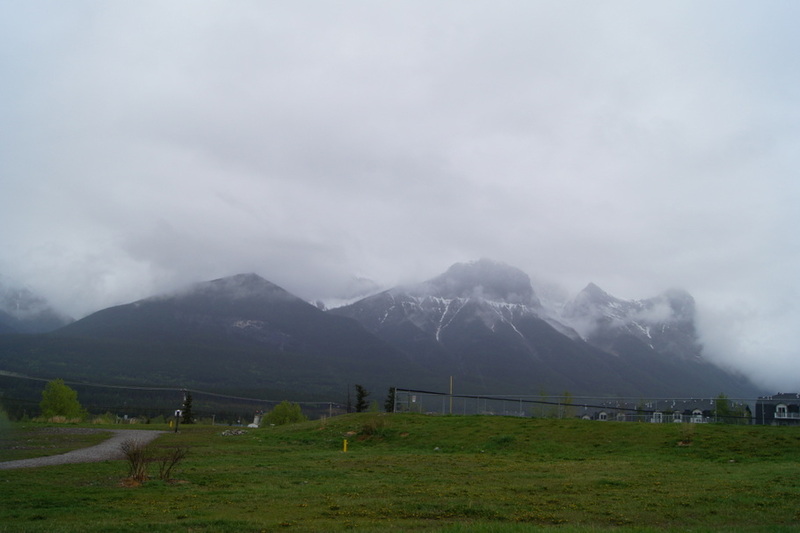 Driving through Calgary in the rain was no fun but we made it past the city safely. Henry continued to monitor the tire pressure and saw it was still leaking air. As we approached Canmore, the only town of any size before Banff, I searched the GPS for a tire store and found OK Tire Company. We followed the GPS directions to the store which was located in a residential section of town with no big parking lot for our rig. Henry pulled over to the side of the road across the street from the store and walked to the store to see if they could help us. They told him to drive a couple of blocks to the parking area for the ball field . A technician would meet us there. How can something so small cause such a big problem? A few minutes later the technician arrived as promised and found a sharp object in the tire. 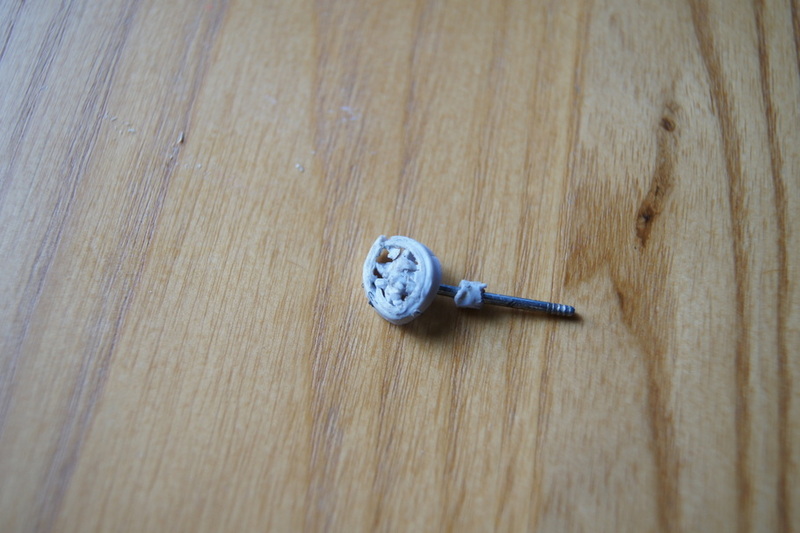 He was able to remove it, fix the tire, and remount it all for the huge cost of $25. I highly recommend OK Tire in Canmore, AB if you are ever in need of assistance in the Canadian Rockies. While he was working on the tire, I put on my rain jacket to take Blondie for a walk. As we walked around the parking lot for the complex of ball fields I heard dogs barking. Blondie and I went to explore and found the city dog park. I retrieved her chuck it and tennis ball from the back of the truck and off we went. She ignored all the other dogs as she chased her ball time after time over the grassy field. While she played I was looking at the jaw dropping beauty of the mountains all around. Even though they were mostly covered in clouds they were still spectacular to see. Before we continued on to Banff we stopped at the Visitor’s Center for directions, maps, and more brochures. Elk were in the campground to greet us when we arrived. When we arrived at our site in the Tunnel Mountain Trailer Court all we could say was “WOW”. 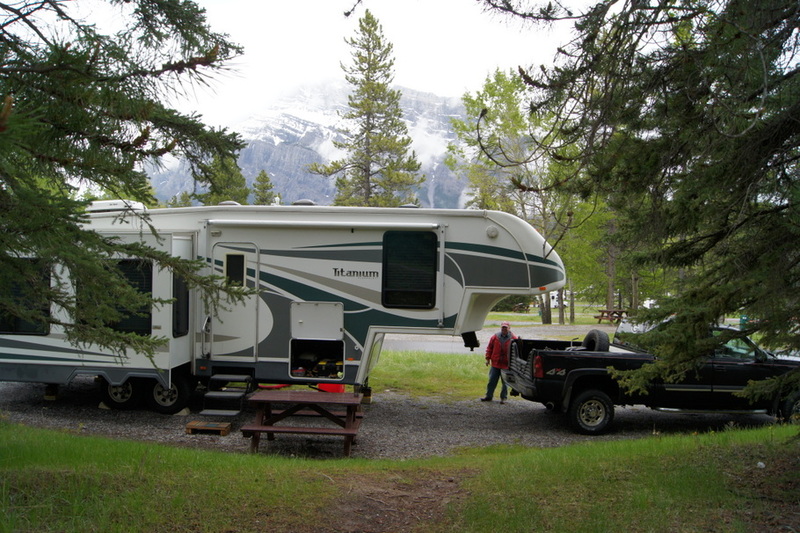 All the sites are long pull through sites with full hookups and a view of Mount Rundle. Even with the clouds and rain it was amazing. After the long stressful day we just sat in our chairs and enjoyed the view. There would be a lot more WOW’s before departing Banff. Stay tuned…. Glad to hear from ya’ll again. Your pictures are breathtaking!